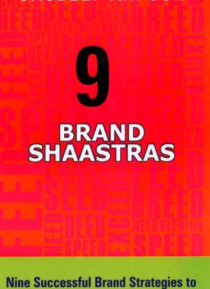 Continuing from Jagdeep Kapoor's two earlier books, 9 Brand Shaastras is concerned with the strategy and principles of brand-building. The book discusses branding from the basics, or what the author defines as the 'need' or 'brand category growth' for a brand, through to the 'brand profit growth strategy' which is the final destination. Each stage is analyzed in detail and peppered with exampl… es and real-life marketing situations to give an effective understanding of brands and brand-building.